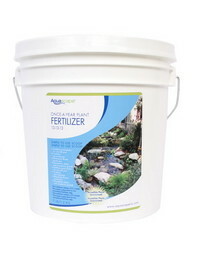 Aquascape Pond Supplies: Once-A-Year Plant Fertilizer 500g/1.1 Lbs. Contains a complete time-release fertilizer that will help maximize plant growth and increase flower production all in one single application. This package comes with 500 grams or 1.1 pounds of plant fertilizer, which lasts up to a year, making gardening a much simpler task. 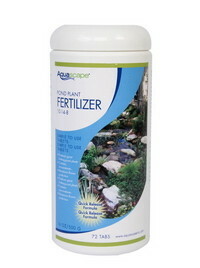 Aquascape Pond Supplies: Once-A-Year Plant Fertilizer 3.2kg/7.7lbs. Contains a complete time-release fertilizer that will help maximize plant growth and increase flower production all in one single application. This specific package includes 3.2 kilograms or 7.7 pounds of fertilizer. 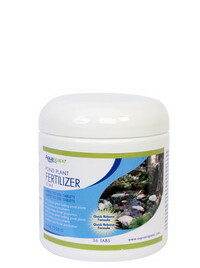 This fertilizer is meant to last a year once it is applied to any garden, perfect for making such a task a hobby. Feeds all types of aquatic plants including water lilies. Unlike other pond tablets that feed for only two weeks, Aquascape Pond Plant Fertilizer provides an initial quick-release of nutrients that insure proper growth and longer lasting blooms for up to 45 days. Feeds all types of aquatic plants including water lilies. Unlike other pond tablets that feed for only two weeks, Aquascape Pond Plant Fertilizer provides an initial quick-release of nutrients that insure proper growth and longer lasting blooms for up to 45 days. This pack includes 72 tabs, lasting up to a few weeks.